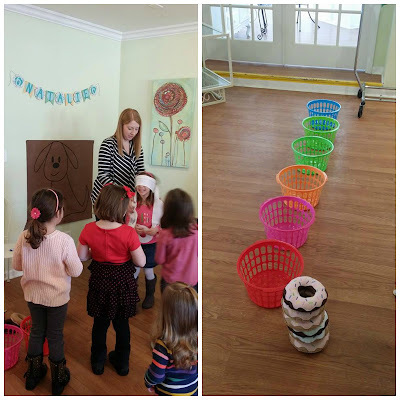 Tales of The Baby Donut: A BB'S BIRTHDAY PARTY! last week, we were the hosts for a very special birthday party! 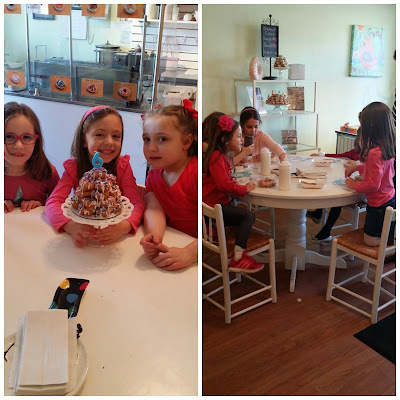 natalie and her mom chose to hold her birthday at BB's, and we were so excited! it was our first birthday celebration we've ever had in the BB's store, and it worked out great! they played lots of fun games, read "If You Give a Dog a Donut", pinned the tail on the dog, plus decorated and ate their own donuts! it looked like the girls had a great time... we know we did! if you're interested in having a birthday at BB's, or are looking into having one of our famous donut cakes as the main dish of your special celebration, email us at celebratebabies@yahoo.com or message us through Facebook! happy birthday again natalie!